Sedation dentistry can be a great option for people who have anxiety and fear related to dental treatments. 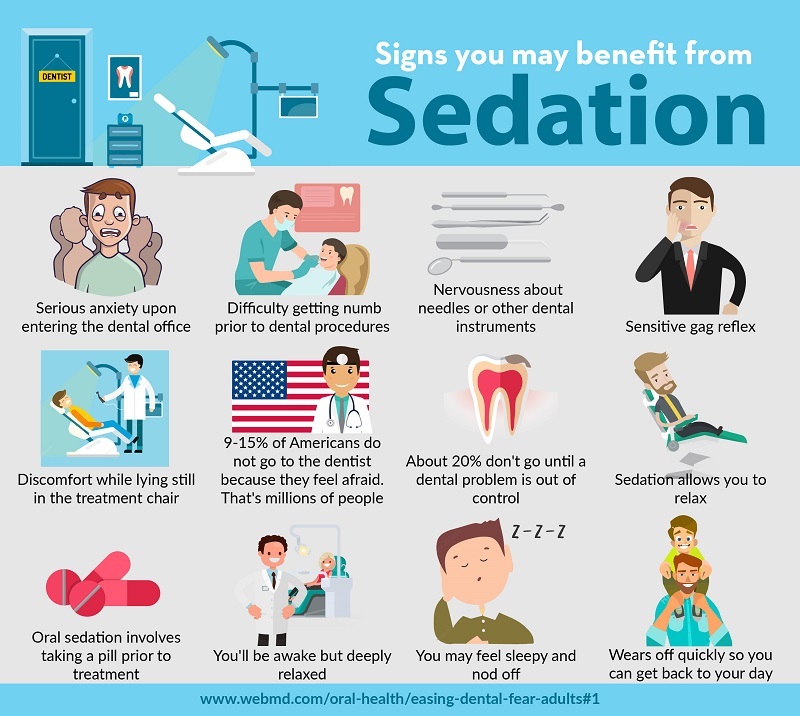 At Aspenwood Dental Associates and Colorado Dental Implant Center, we offer several different types of sedation. The type of sedation offered can vary based on the patient's needs and type of treatment being performed. The options can include nitrous oxide (laughing gas), concious oral sedation (a sedative pill), or I.V. sedation. Oral sedation allows you to remain awake but deeply relaxed. You may even feel like napping during your appointment. Our doctors work to identify what type of sedation will provide you a comfortable and safe dental experience. The only way to know if sedation may be right for you is to consult our experienced dentists. To arrange a free consultation in Aurora, Colorado, please call us at 303-751-3321.